Capture clear, intelligible speech in interviews, presentations, television production, and more with the black Pyle Pro PLM3 unidirectional lavalier microphone. Its electret condenser capsule offers a 50 Hz to 16 kHz frequency response, which attenuates extreme low- and high-frequency issues such as rumble and hiss. Utilizing a unidirectional polar pattern, the PLM3 delivers focused on-axis pickup while reducing off-axis reflections and bleed. Its removable windscreen minimizes plosives and mitigates wind noise. 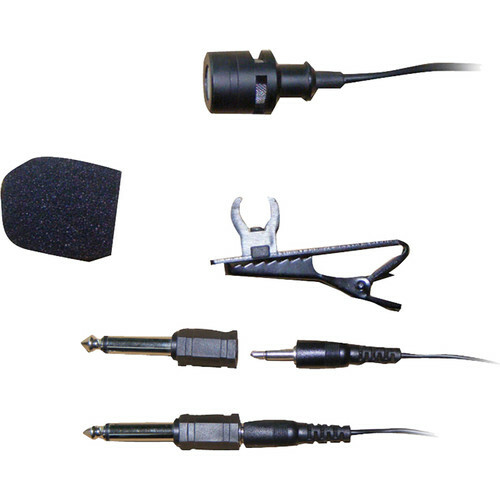 It features a 3.3' cable with a 3.5mm TS output connector and a detachable 1/4" adapter for compatibility with a variety of wireless microphone transmitters. The PLM3 is operated via 1.5 to 10 VDC plug-in power, so no internal batteries are required. It includes a clip for easy attachment to a tie, lapel, or collar. Box Dimensions (LxWxH) 6.7 x 4.8 x 0.4"